Before you ask, it’s keer-giz-STAN. And it’s also fantastic. Trek the wilderness, dine on pumpkin dumplings, and sleep in a yurt in this unexpectedly wonderful Central Asian destination. So, odds are that you came across this post and immediately thought: “Wait, Kyrgyzstan? I can’t even pronounce it!” Yet, believe it or not, this country is a travel hot spot for 2018. And for good reasons, too. For starters, it's smaller than nearby countries, which makes it easy to explore. Plus, it has the most liberal visa policy in Central Asia (free on arrival for most passports), making it an easy choice for anyone who's ever dreamed of visiting the region. But those are just the practical reasons to visit. I had always been curious about the food and culture, so when consulting work took me there over the summer, I was grateful for the chance to explore. And it wowed me. The country has everything I love in a travel spot: vegetarian-friendly food, gorgeous mountain views, and the chance to support local communities and grassroots-level tourism. It didn’t take long before I fell in love, and I think you will too. Oh, and before we launch into why this place should be on your bucket list, let’s answer your first, burning question—how to pronounce the name. Although there is some variation, you can't go wrong with pronouncing it: keer-giz-STAN, first syllable rhymes with "gear," second syllable rhymes with "fizz." 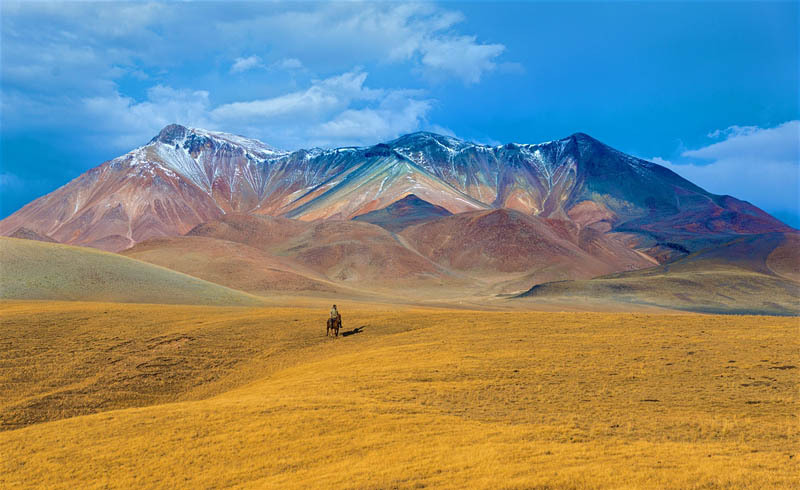 Trekking the KG is perhaps the number one activity for independent travelers. 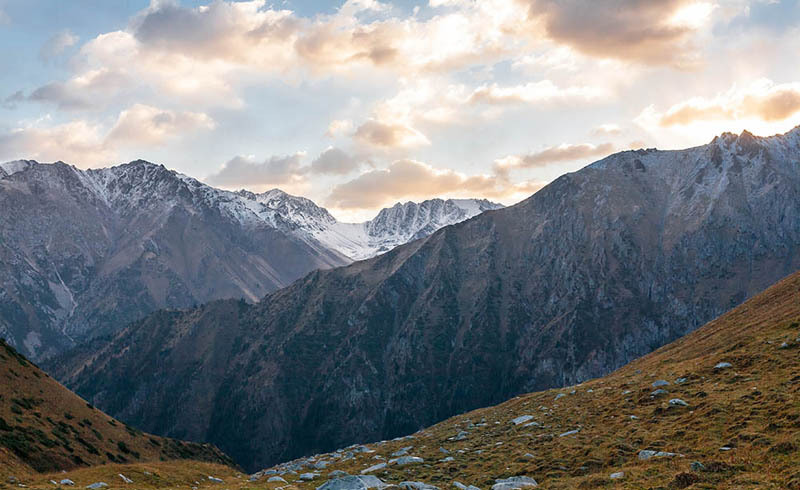 The country is blessed with the scenic and lovely Tian Shan mountain range running throughout, offering turquoise alpine lakes and thousands of mountain peaks and valleys best viewed during the summer high season (June through September). In the past two years, a USAID BGI mapping project has added hundreds of miles of additional marked trails, meaning trekkers and backpackers in the coming years will be among the first travelers in the world to witness beauty that only locals have long enjoyed. Even better, it’s not just for hard-core hikers, but more casual adventurers, too (that’s me). Although places like Karakol offer long multi-day treks, I loved my day-hike in Osh as well as an epic horseback ride to a glacier on the South Shore of Lake Issyk-kul (where an incoming storm made us turn back, but didn’t detract from the beauty and fun of the day). Kyrgyzstan was a part of the historic Silk Road, with cities and ruins across the country serving as lodging and trading points for the merchants. Today, modern Kyrgyzstan is a center of living nomadic history — shepherds continue to carry on traditions from the past millennia. In the summer, treks to jailoo, high-altitude summer pastures, offer opportunities to sleep at a yurt camp, eat with the nomads, and learn about their way of life. Kyrgyz culture is also alive and strong in the music, food, and daily life. During my trip, I attended folk music shows and crafts workshops, learning how to make beautiful, intricately crafted shyrdak, AKA felt rugs or wall hangings, from local women. National dishes are not just a part of festivals, special occasions, or tourist promotions—locals prepare these same national dishes in their homes. This is the food they eat, and it's delicious. And although it's a meat-heavy culture, I was delightfully surprised to find fresh salads served with every meal and a people willing to help me explore their food culture as a vegetarian. There's plov from Osh, a savory rice, yellow carrot, and meat (optional) dish that's as hearty as it is tasty. Or ashlan-fu, a specialty soup in Karakol and an absolute highlight for this traveling vegetarian—it's flavorful, spicy, and budget-friendly. (I most often slurped soup alongside college students mowing down during their class breaks.) And let's not even get started on the range of dumpling dishes called manti—I ate my weight in them, enjoying greens, potatoes, and even pumpkin in a few memorable cases. I've often found that countries that come late to the game take a more controlled and nuanced approach to tourism development, and that proves true in Kyrgyzstan. Organizations across the country are prioritizing community development, with the last two years giving rise to nonprofit tourism organizations in Karakol, Osh, Naryn, and South Shore. No matter where you go, you can feel good about how you spend your tourism dollars. In fact, my favorite development story is happening in Jyrgalan village, a community in the Issyk-Kul province that is just opening to tourism. The people I met there made me fall in love with their story and their drive. The community is beautifully optimistic about the impact independent travelers will have on their lives in the coming years. Once a former mining town, after the collapse of the Soviet Union locals lost all employment opportunities and their prospects were bleak. Now, they've banded together to welcome tourists into their village. Two years ago, tourism didn't exist. Now the village has more than a half-dozen guesthouses, a yurt camp, and some of the prettiest treks and nature I've ever seen. It's a community that made me not only love traveling there, but love my decision to spend money supporting their vision for a prosperous future. What do you think, travelers? Are you sold on planning a trip to Kyrgyzstan in 2018? What other far-flung locales are you checking out next year? Let us know in the comments below.